If at first you don’t succeed, try, try again. That seems to be the driving thought for the defense team in David Baazov’s ongoing battle against insider-trading charges first brought by Quebec securities regulators back in 2016. The latest developments in the case, which has now entered its courtroom-trial phase, hammer on the same technical point as in earlier dismissal attempts, targeting irregularities or errors during the massive discovery process. The latest dismissal effort, technically a motion to permanently stay the proceedings, was filed over a week ago and was argued in court on Thursday. So what’s the discovery problem this time? Well, it seems as if the AMF (Autorite des Marches Financiers, Quebec’s securities regulatory body) gave the defense too much information. More specifically, it’s about some 320,000 documents obtained from third-party searches and testimony that shouldn’t have been sent to Baazov’s defense after being deemed irrelevant to the case. The documents were among the tens of millions of such pieces of information that have been part of the discovery process in what the AMF has described as its largest-ever insider-trading case. The AMF went so far, on reexaming the document batch, as asking Baazov’s defense to return or destroy its copies of those 320,000 or documents and pretend they hadn’t been seen. No can do, argued Baazov’s counsel on Thursday, stating further that this should be grounds for granting the motion to stay the case. That’s unlikely to happen, even if the disclosure was a technical violation. Previous dismissal motions brought by Baazov’s team has also targeted the lengthy and massive discovery process, though in differing ways. Back in November, for instance, the Baazov team argued that the lengthy discovery process was denying his right to a speedy trial under Quebec’s “Jordan Rule” provisions. However, presiding judge Salvatore Mascia nixed that idea, given the truly voluminous amount of documentation involved in the case — some tens of millions of documents and data elements now exceeding a couple of terabytes of data. The insider-trading case involves allegations that Baazov and business associates manipulated the price of Amaya stock in ways to derive additional personal profit from several major corporate deals involving Amaya, up to and including the mega $4.9 million reverse takeover of PokerStars parent entity Oldford Group in 2014. Odd price movement in Amaya shares for several weeks preceding the announcement of the Stars deal eventually triggered multiple, related investigations by the AMF. 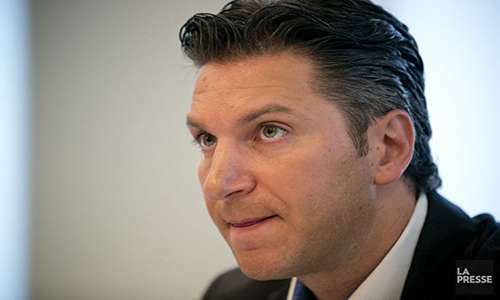 One of those investigations led to filing of multiple insider-trading charges against Baazov, business associates Benjamin Ahdoot and Yoel Altman, and a couple of corporate entities. 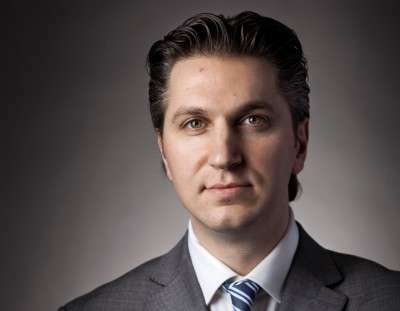 The case against Baazov and the others was filed in 2016, and that and subsequent developments eventually forced him from his twin roles as Amaya’s president and CEO. Amaya, meanwhile, rebranded itself as The Stars Group and relocated out of Montreal and Quebec to new digs in Toronto, Ontario. The rebranding had both positive and negative connotations, in that it played up the “Stars” brand equity, while also beginning the process of breaking away from all the trouble associated with Amaya in light of the Baazov allegations. Since the trial’s originally scheduled start date last year, it’s been a series of delaying and befuddling tactics offered by Baazov’s team, despite assurances from Judge Mascia that the defense will be given opportunities for cross-examination and the recalling of witnesses if new information comes to light. The courtroom trial began in April with another motion to dismiss, this time because the AMF had sent over several new batches of documentation it identified only in recent months. This third attempt goes after the same target — alleged discovery deficiences — but with a flipped viewpoint. It’s also unlikely to fare better than the previous two attempts. As prosecutors stated in court on Thursday, such a “draconian” move such as a dismissal is uncalled for in the wake of a good-faith error, in which the AMF was trying to comply with the defense’s discovery needs, and in essence over-complied by providing unnecessary third-party, “potentially privileged” information.